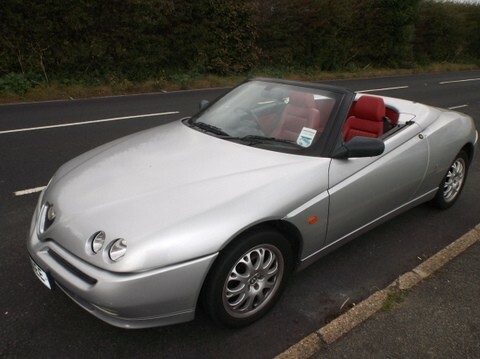 A SMART little Alfa Romeo Spider T Spark Lusso is listed among the lots on the catalogue for the Dorset Vintage and Classic Auctions’ quarterly sale at Athelhampton House, near Dorchester, next Thursday, October 16. It is a 2001 manual transmission model, with a mileage of 78,100. It is finished in striking silver with a stunning red leather interior and carries a guide price of between £2,000 and £2,500. According to DVCA’s background information, the Spider has been used as a second car for the last three years. It is described as being very good and original in virtually all departments. 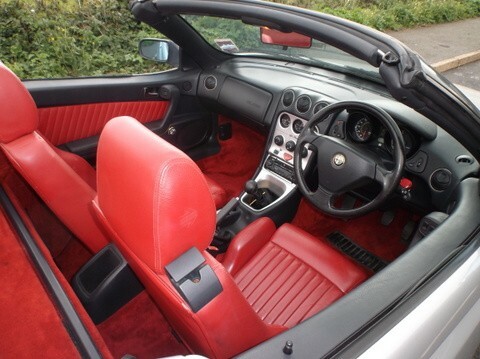 The car is supplied with the original handbooks, service book and history, numerous MoT test certificates, invoices and the V5C registration certificate. The sale starts at Athelhampton House at 11am next Thursday, with viewing the previous day from 10am until 7pm and on sale day from 10am.